St. Louis County Prosecutor Bob McCulloch. 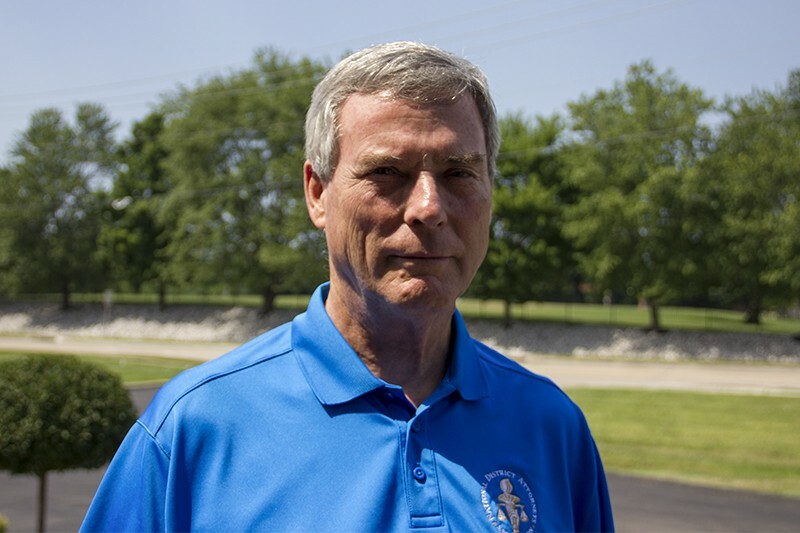 St. Louis County Prosecuting Attorney Bob McCulloch is accustomed to doing things on his own terms. Seven terms, specifically. He'd like to make it eight. McCulloch presided over the grand jury that issued a non-indictment of former Ferguson officer Darren Wilson in 2014, gaining worldwide notoriety in the process. Yet he hasn't faced a political threat in more than a decade. He's won seven consecutive elections, holding his post since 1991. As in previous years, there's no expected Republican challenger waiting in November's general election. That means the August 7 primary represents the only real hurdle to another four years of McCulloch. There are plenty of people who are tired of McCulloch. Critics say his decision to conduct the investigation into Michael Brown's fatal shooting using the grand jury was intentionally designed to produce a no-bill. McCulloch, 66, has also thrown the book at protesters, including those arrested as part of the recent demonstrations following the Jason Stockley "not guilty" verdict in St. Louis. Then there's this: In his 27-year career in public office, McCulloch has never prosecuted an officer-involved shooting to the point of an actual indictment. Nationally, he's become a symbol for everything wrong with the justice system. Yet in St. Louis County, a place where Democratic voters are far more pro-police than their city counterparts, he's amassed a significant political base. He won his last primary election on August 5, 2014 — four days before Michael Brown's death — with more than 70 percent of the vote. Activists and criminal justice reformers want 2018 to be different. 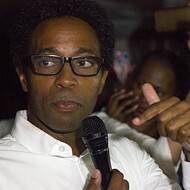 Their hopes rest on one man: Wesley Bell. Located in a north county strip mall connected to a hair salon, Bell's campaign headquarters is a collection of armchairs, lawn signs, stacks of flyers and volunteers chatting intently across a long folding table. Papers and campaign literature are strewn across various surfaces. In a back office — really just a cubby blocked-in by cubicle wall — Bell has his own table covered in handwritten notes. A nearby chair serves as an auxiliary surface for draping more papers. "I don’t see this race as about Bob McCulloch," says Bell, whose legal career spans two decades and includes stints as a public defender, municipal prosecutor and judge. "When people say, 'Are you running against McCulloch?' I tell them, 'No. I’m running for county prosecutor. I’m running for my home.'" Bell, a 43-year-old Ferguson resident, has left a broad footprint across St. Louis County, and he says that his experience as a municipal judge and prosecutor gave him a vantage point to observe the region's much-maligned court practices — and, crucially, how those practices were fixed. He has (controversially) been a judge for Velda City's municipal court, a part-time prosecutor in Riverview and the city attorney for Wellston, all impoverished north-county municipalities that have come under fire for using their court systems as a cash cow. His experience is both a key part of his argument for election — and one reason some local progressives are queasy about his candidacy. Bell says he's been a reformer, not an exploiter. 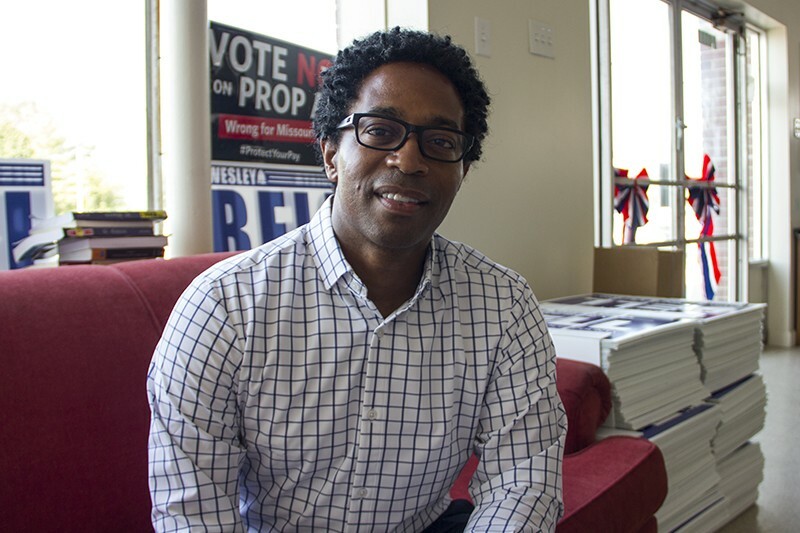 In the wake of protests in 2014, he ran for, and won, a seat on Ferguson's city council, which provided him a seat at the negotiating table as the city hammered out the details of its consent decree with the U.S. Department of Justice. As municipalities faced pressure to reform their courts in the aftermath of the protests, Bell stuck around. He represented Wellston as it negotiated its place in the North County Police Cooperative, and he currently serves as a prosecutor in what is now known as the Consolidated Municipal Courts, a Missouri Supreme Court-sanctioned combination of municipal courts services for St. Ann, Velda City, Charlack, Vinita Park, Beverly Hills and Wellston. Those reforms, says Bell, resulted from long processes of relationship-building. And during the push to reform predatory court practices in a patchwork of jurisdictions, Bell notes that McCulloch was nowhere to be seen. "It would have been nice to have some support from that office," he says. Bell acknowledges that McCulloch had no power to set policy for those municipalities, but he still contends that the county's elected prosecuting attorney had an opportunity to make a difference — and chose to stay on the sidelines. "I couldn’t control policy either," says Bell, "but I was still there, I was still involved, and using the relationships that I’d developed and my platform to help push for those kinds of reforms. You're talking about one of the most tenured elected officials in our state not having any footprint on much-needed reforms in the area that he's representing." Four years after Ferguson erupted, Bell says bringing reforms to the St. Louis County prosecutor's office is long overdue. He wants to reform the county's bail system, moving it to what he calls a "risk-based" process rather than a "cash-based" one. He also wants to expand the county's drug courts and diversion programs — programs that he claims McCulloch "has never been committed to." Still, the position would also represent a significant leap for Bell, a lawyer whose prosecutorial experience only includes municipal courts, which issue low-level municipal charges. Bell has never tried a felony case as a prosecutor, and in St. Louis County, he'd be entering a prosecutor's office overseeing more than 60 attorneys and a host of cases ranging from fraud to homicide. The job is more than experience, Bell insists. He chafes at the presumption that McCulloch's tenure and law-and-order reputation gives him insurmountable popularity in St. Louis County, and he argues that just because McCulloch has won seven elections doesn't mean he deserves to win an eighth. "My question for voters is, 'What are you holding on to? What are you voting for?'" Bell says. "Our violent crime rates are up, our homicide rates are up. The opioid crisis is touching so many people directly and indirectly. It’s time for a change, and I'm not using that as a cliche." Bell's candidacy has attracted significant support from national groups, including Real Justice and Color of Change. He'll need it; his most recent campaign finance report shows just $17,165 in fundraising, less than one-eighth of of McCulloch's cash on hand. The prosecutor's race also is the focus of the ACLU's nationwide campaign raising education about certain electoral races — a significant departure for the civil rights group, which has long touted its non-partisanship. 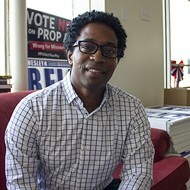 While the ACLU still does not endorse candidates, Bell answered in the affirmative to nearly every question on its candidate survey, which sought yes-or-no commitments on a range of issues, including the abolition of cash bail, offering diversion programs for all low-level drug offenders and opposing the "racist and error-ridden history of the death penalty in St. Louis." McCulloch takes a dim view of Bell's prosecutorial experience, and perhaps an even dimmer view of the ACLU's recent efforts. "Mr. Bell is just parroting what the ACLU is saying," he claims during an interview in a conference room in the rear offices of a Florissant bank. Of the ACLU, he says, "They used to be government watchdogs. Now they want to be the government and pick the office holders." McCulloch is accustomed to being the target of criticism. Activists have sued (unsuccessfully) to get him thrown out of office for his handling of the Darren Wilson grand jury. He's been shouted down at speaking events, and, during a memorable incident at Saint Louis University School of Law, was found "guilty" by a robed group of protesters who disrupted the prosecutor's presentation on post-Ferguson policing. But McCulloch, whose father was a police officer killed in the line of duty, seems to thrive on being a target of activists — their criticism only endears him to his base. Beyond that, he insists that reform efforts stem from a fundamental misunderstanding of how a prosecutor's office actually handles cases. That's why, when it came time to respond to the ACLU's survey, McCulloch threw out the questions and simply summarized his office's policies on bail, drug offenses, sentencing, diversion and the death penalty. "There are really no absolutes in my line of work," he says. 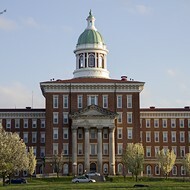 "Every case is different, and we treat every case differently." McCulloch touts his office's creation of a drug court and diversion program, and he claims his office never "overcharges" defendants to create leverage. He says his office offers most non-violent offenders multiple chances before considering jail or prison, and he defends its processes for reviewing death-penalty cases. As for cash-bail reform, which is the subject of significant national and local efforts, McCulloch argues that the issue is generally overblown. "There’s nobody in St. Louis County in jail being held on a misdemeanor because they can’t make bond," he insists. It's been a policy "for many years" not to hold defendants before trial on misdemeanors or low-level felonies. McCulloch insists his office continues to consider alternatives to cash bail, and that electronic monitoring has proven effective. He'd also like to see the end of bail bond businesses, whose practices he finds "reprehensible." "I’d be very happy if they just went away," McCulloch says, though he quickly points out that his opposition to bondsmen doesn't mean he's keen on eliminating cash bail completely, as the ACLU and other activists would like. "I keep asking, 'What's the alternative? Don’t jail them?' That just doesn’t work," he says. Wouldn't abolishing cash bail solve that the problem of predatory bondsmen for good? McCulloch answers, chuckling, "Well, it would solve every issue, we wouldn't have anybody in jail." He adds, "The two easiest things in the world are to fill up a jail and empty a jail. I’m open to every alternative there is. If there's something we haven't tried, I’m willing to try it. More often than not, we’ve already tried it." Most of the time, the people being shuttled to jails and prisons are there for probation violations, which is a matter for the court system, not the prosecutor's office, says McCulloch. 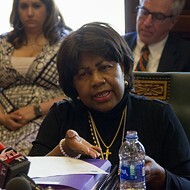 He argues that much of the criticism leveled at his office — such that from Rod Chapel Jr., president of Missouri's NAACP chapter, who recently blamed McCulloch for contributing to disproportionate arrests and an "injustice system" hurting black residents of St. Louis County — actually arises from both ignorance of the legal system and a troubling tendency to overlook crime victims. Ultimately, McCulloch is running the same campaign he's been running since 1991. On experience. On law and order. On the way things are. "This election is about public safety, as every election of a prosecutor is," McCulloch says. "The primary function of a prosecutor is to target violent criminals and take them out of the neighborhoods, and you can’t run the tenth largest law firm in the metropolitan area having never ever done the job before. You need somebody who knows what they’re doing."